The OECD published a consultation paper warning against passport-sales schemes. They are “a back-door to money-launderers and tax evaders”. I realise that we have become collectively callous on the back of money we make from money-launderers and tax evaders but let’s at least be honest with ourselves if not with the rest of the world. From our side we only see the suits, the private jets, the hotel suites and the wire transfers. But that’s just the shiny side of crime. When money needs to be laundered, it’s because it was dirty in the first place. And the dirt it’s smeared with is not the mud of mining or the grease of manufacturing. It’s the blood of the trafficking of drugs, arms and people. Like the people who harbour stolen goods, we make ourselves accomplices to their crimes. Just because there’s no global police and no global court in a world which equates national sovereignty with anarchy does not make what we do right. And though we draw a distinction between money-launders and tax evaders it is only because the distance between the perpetrators and their victims has a further degree of separation. Yesterday I published a copy of a Eurodad report on the global tax system and how Malta gleefully welcomes the richest who dodge taxes in their countries meant to improve the lives of the poorest. It makes misguided Robin Hoods, robbing from the poor to give to the rich. If we are to be responsible citizens of the world we need to look at our development model and remember that what is fundamentally unjust may be ridden for some time, but like the tiger in that Scottish writer’s analogy, it might turn around and bite us at any time. Consider the OECD report I am copying here today. Generally speaking it is worried about passport-sales schemes. But it is especially worried about passport-sales schemes where proof of residence is not required and not periodically verified. That makes Malta’s scheme a special risk in the eyes of the OECD. We started out here with a law that did not require any residence requirement at all. When the European Commission expressed concern, the government negotiated their acquiescence by introducing a one-year residency requirement, the barest minimum that could be politically acceptable to the Commission. But that soon became a farce. In order to verify this residency requirement, applicants need only present a tenancy agreement for a year. They need only present a signed contract. They don’t need to actually ever visit the place, let alone live in it. As far as can be understood, no physical verification of the ‘residency’ is ever conducted by the Maltese authorities, neither at application stage or later to verify compliance. The application can be submitted and will be accepted at the beginning of the one year requirement, not at its end. 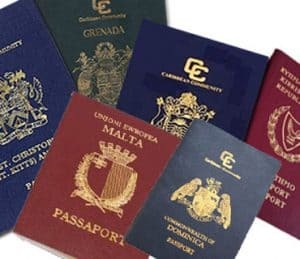 This cheats the European Commission that chose not to block the scheme under the false impression that people would have had to live here for a year before being able to obtain citizenship. As far as can be understood, no cross referencing of different applications is done. Therefore multiple billionaires could be declaring living together in the same ramshackle property in Birżebbuġa like a hippy commune and no one is the wiser. The addresses of the new citizens are not published and kept as a state secret. The publication of these addresses would get many people to realise that the empty apartment in their street should be housing a bunch of billionaires whose known net worth could buy the entire village several times over. However some addresses did leak in error when a few of these billionnaires found themselves on the electoral roll where addresses are obviously required. Physical inspections of those addresses found places where other people live, or where nobody lives or where nobody could possibly live. That makes the entire system an exercise in state-sanctioned fraud designed, by all accounts, as a “a back-door to money-launderers and tax evaders”.